What do I do if there is a tech glitch when I try to join Employaid? How do I access the saved content in my briefcase? How do I change my e-mail address and or password? What if I can't download a white paper? What if I can't download a podcast? What if I am having trouble watching a video? If you can't log in, please create an account with Employaid. If you do have an account and are having trouble logging in, please contact us. Your membership will renew automatically on your anniversary date with Employaid. We will use the payment information you provided when you joined. You will receive an e-mail reminder from us, at which time you can let us know if you wish to drop your membership. If you do not wish to receive mailings from Employaid, please Contact Us and you will be unsubscribed, using the e-mail address provided when you registered. Once you advise us of your decision to cancel, your subscription will cancel as of the anniversary date that you first joined as a Member. If there is a tech glitch when you try to join Employaid.com please try to join one more time. If there is still a problem joining please contact us and let us know about the problem. You must be logged in and must be a premium member in order to access content in your briefcase. 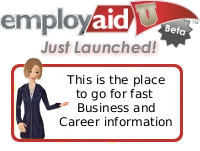 Once you log in to Employaid you will see a link to update your account information. You can update this information in the account settings once you login to Employaid. This is an unlikely problem that may arise using the site, but if you are having trouble downloading a white paper you will want to make sure that you have the Adobe Acrobat PDF reader. You can download the reader here. Some podcasts are only available to premium members. Please make sure to sign up for a premium membership. If you are having trouble watching a video, it may be caused by a couple of reasons. 1) Our videos are played using a flash video player. You may need to download the latest version of Flash to be able to view the video. You can get the latest version here. 2) Some videos are available only for premium members. You may have to become a premium member to view the video.